Looking for a view and privacy. Unobstructed view of Mt. Baker & Sumas Valley. To enjoy from the large deck off the kitchen. Located in a very desirable neighbourhood in East Abbotsford. 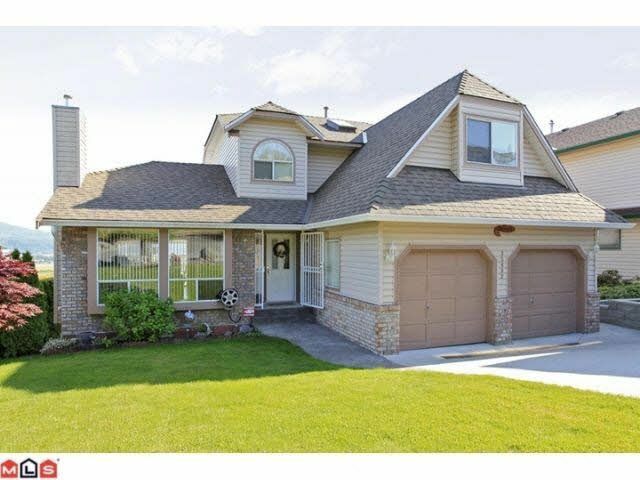 This meticulously maintained home is ready to move in to. Double garage with RV parking in the front & a 30 foot RV parking spot in the back (lane access) roof is 7 years old. Updated stamped concrete sidewalks. Walk out bsmt onto level backyard with garden shed. Bright kitchen, master has jetted tub & walk in closet. Downstairs has many possibilities. Call to view today.